The most technologically advanced bike ever created by Scott. The Scott Foil Ultimate Disc is a limited edition road bike with only 200 being made worldwide. 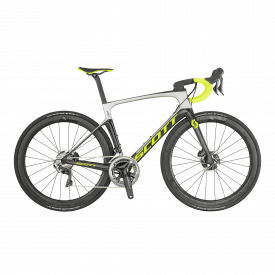 The Scott Foil has what it takes to perform to the absolute limits and its racing pedigree is up there with the best. 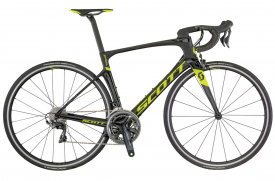 The Scott Foil has victories in iconic one day races such as Paris Roubaix, Milan San Remo and Liege Bastogne Liege to name a few, right to winning Grand Tour Stages. 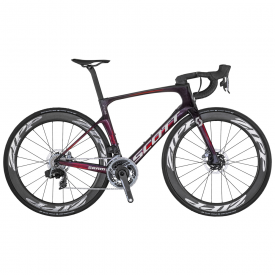 The Scott Foil Ultimate is equipped with aerodynamic Zipp 404 Firecrest Disc wheels and the SRAM RED eTap electronic gear system for the smoothest gear change possible. Another feature of this performance road bike is the SRAM RED AXS Powermeter which is included, allowing you to track your power and performance on every ride. 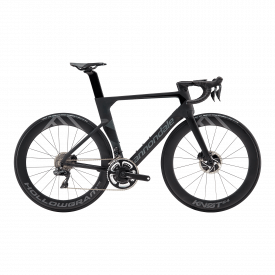 Finish this racing machine off with the Syncros carbon fibre Foil integrated handlebars for ultimate compliance and you have the Ultimate road bike. The Cannondale Supersix Evo HM Dura Ace Mechanical 2018 is pushing the boundaries of technology. Using the Hi Mod carbon fibre with hydraulic disc brakes this bike is manufactured to be pushed to the limits. 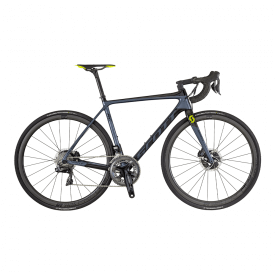 Lightweight, stiff and responsive, this model will not disappoint especially with the Shimano Dura Ace 9100 groupset, mechanical gear shifting has never been so effortless. The brand new Systemsix is Cannondale's Aerodynamic road bike and is built to comply with UCI regulations, perfect for road racing! 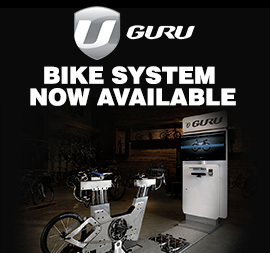 This particular model is equipped with Shimano Shimano Dura Ace and also features Shimano's Hydro Disc brakes. The frame continues with Cannondale's trend and features the BB30 bottom bracket system for optimum compliance per pedal stroke. As used by the World tour team Mitchelton Scott, the Foil RC is the pinnacle of aerodynamic road bikes. 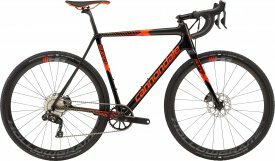 This particular model uses aero carbon tech HMX carbon fibre and is equipped with Shimano's premium mechanical groupset, Dura Ace 9100. This model is provided with Zipp 30 course alloy wheels, making this bike not only aerodynamic but also lightweight.